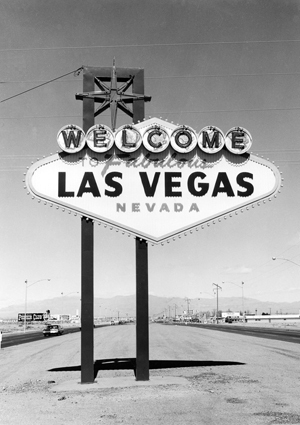 The iconic Las Vegas sign as it appeared in the 1950s, a time when mobsters were a fixture on the Strip. Sam “Ace” Rothstein, the Las Vegas bookmaker and casino kingpin played by Goodfellas star Robert De Niro, slides behind the wheel of his Cadillac, turns on the ignition and — boom! — the car bursts into flames. Long before the corporate bean counters took over, guys with names like Lefty, Lansky and Bugsy called the shots and “the skim” was a nightly ritual in casino counting rooms. Organized crime money — with some help from Jimmy Hoffa and the Teamsters’ pension fund — helped shape the gambling mecca that we know today.